Spear Corporation offers a range of commercial pool services. To learn more about: construction, mechanical room renovations, pool design, equipment sales and municipal water waste, scroll through below. 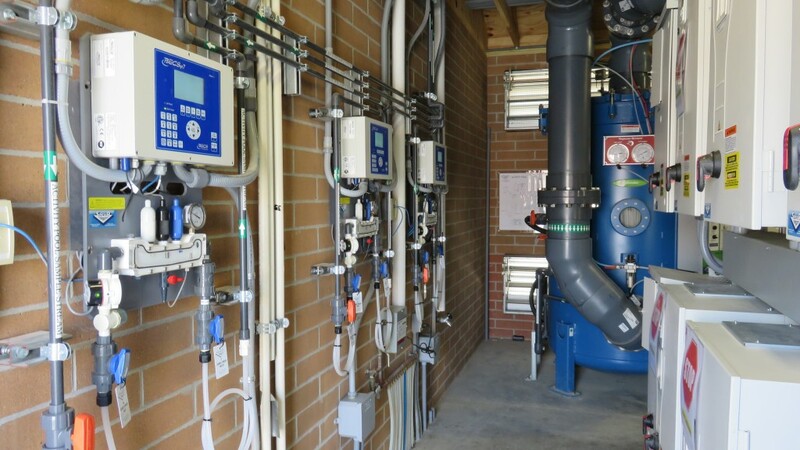 Spear Corporation provides municipalities across Indiana with water treatment equipment products that meet the toughest regulatory and industry standards. Including NSF/ANSI 61 for the Arch feeding equipment and NSF 60 for Constant Chlor® Plus Briquettes, allowing the public to rest easy about the quality of their water supply. The Constant Chlor® Plus spray feed system is markedly different from erosion feeders currently on the market. The patented spray process dissolves material from the bottom of the briquette bed for consistent results. Constant Chlor® Plus Dry Calcium Hypochlorite Feeding System Spray Technology Chlorinator provides a new, more efficient alternative to chlorine gas and liquid bleach. Constant Chlor® Plus Model MM-1S Dry Calcium Hypochlorite Feeding System Designed to prepare and automatically deliver a consistently accurate dose of liquid available chlorine for disinfection applications. Constant Chlor® Plus Briquettes Constant Chlor Plus Briquettes®dry chlorinator tablets are designed specifically for use in the Spray Technology Chlorinator, with a patented formula for consistent and accurate dosing. Be sure to comply with all government regulations for use. Always refer to product labels and MSDSs for information about specific products. Learn more by reading the Product Safety Details and Disclaimers. Our goal is to always put customers first. We build as if it was our very own. Our experience in the aquatic field is backed by over 30 years in the industry. We offer quality and craftsmanship that will fit your budget and needs. 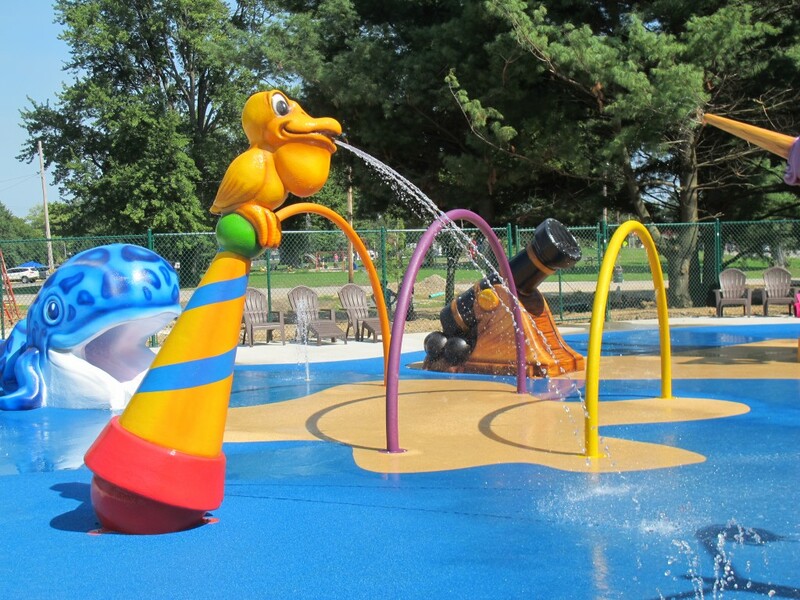 We offer a wide variety of concepts and designs for all types of commercial aquatic facilities. We attribute our long-term success to the many referrals from our satisfied clients. Each construction project is completed with an attention to detail. We always maintain the highest safety construction standards. We will do what is right. Construction that starts with a foundation of integrity. After the project is complete, we remain in contact to service and help maintain the life of the facility. Does your mechanical system need an evaluation on efficiency? Each facility and each mechanical room is unique depending on the size of the room and the type of equipment that is installed. It is very essential that the room maintains a user-friendly environment for the operators of the facility. Our mechanical rooms are designed and constructed with state of the art technology with materials that exceed industry standards. Spear Corporation takes great pride in our mechanical room design and installation. We ensure there is access to pumps, filters, water chemistry controllers, strainers and heaters. Since 1984, Spear Corporation has been proficient in instructing facilities on the importance and the ease of obtaining perfect water quality. It all begins with the mechanical room. Our design services will transform your vision into a reality. It’s important to identify the needs of your patrons when designing a new facility or renovating your existing one. Spear Corporation will discuss and educate you in all the current aquatic trends. Spear Corporation will provide you with a complete aquatic package including structural drawings, mechanical systems design including circulation, filtration and chemical treatment. Our construction documents and specifications are prepared utilizing the latest drafting technology. Spear Corporation will also coordinate with local health departments and acquire the permits required to build and operate the facility. Spear Corporation has been a Leader in the Water Quality Industry for over 30 years. We emphasize the importance of proper installation, maintenance and service for Mechanical Room Equipment in the Aquatic Facility. Spear Corporation is also a leader in services and maintenance for Water Quality Control Equipment in Municipal and Industrial Applications. Professional Certified Technicians are available for all of our customers on-site Installations, Service Repairs, Training, and Preventative Maintenance.Spear Corporation maintains a dedicated staff of Factory Certified Technicians who specialize in precision installation and quality customer services throughout the states of Indiana, Illinois, Kentucky and Ohio. Mechanical Room equipment often operates in a harsh environment and requires annual maintenance to maintain peak efficiency and extend its useful life. Spear Corporation commonly but is certainly not limited to Servicing and Maintaining categories listed below for your Aquatic, Municipal, or Industrial facility. Spear Corporation always services the equipment that we sell and install. To schedule Service or Maintenance for your facility and obtain pricing information, please contact Bill Hubble, Director of Operations at Spear Corporation. After printing the form, please complete it and FAX to 1-765-522-1702. Properly maintained filters, water chemistry controllers and chemical feeders produce clean and clear water, limited “down time”, and peace of mind knowing you have a factory trained technician working to protect valuable equipment.